At FOB Live, we have the answers to all these questions and many more. Our expert team will advise and guide you through the different stages of your project, so that you are able to enjoy the design and build journey as well as your new living space. You know what it’ll cost. We work to your budget from design stage and control costs throughout so there are no surprises later on. You know you’ll get added value. We have a wealth of experience and plenty of creative ideas. You know we’ll be there when you need to talk. We build personal relationships with our clients that last all the way through each project. You know what to expect. We provide 3D views at an early stage so you can visualise your building, and high quality comes as standard. You know you’ll be involved at every stage. To us, the client is at the heart of any design solution. We work to accommodate your needs and achieve your vision. You know you’ll have peace of mind. 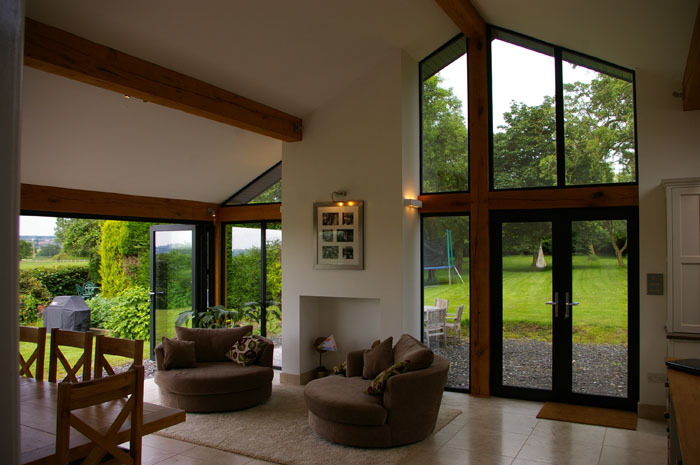 As a Company of Qualified Architects , we have access to an extensive professional support network. We offer an end-to-end, personalised service, managing your project seamlessly from site selection and planning to completion – and within budget. We are experienced in co-ordinating a team of specialist consultants, eg landscape architects, engineers, quantity surveyors, interior designers, builders, party wall surveyors, planning supervisors and subcontractors. Working with FOB Live is a great investment for the future – an intelligently-designed building will reduce your energy bills now and maximise its value in the long-term. Contact us today to arrange your free consultation. We will help you to get the most from your project by creating a flexible design that can adapt to your changing needs. Whether your budget is £10k, £1m or more, we will work with you to develop the best possible solution.